Lily Rigby explores all areas of her artistic ability, from landscape painting to illustration. Her illustration focuses on watercolour. She uses free, gentle strokes to create striking, original illustrations that have proven popular in the food industry. 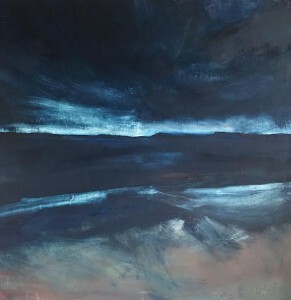 Lily’s paintings – which are mostly large scale oil – are inspired by the landscape around her or from places she has been that have left traces in her memory that she seeks to capture on canvas. She aims always to feel and reflect the mood and atmosphere of every place she is depicting.